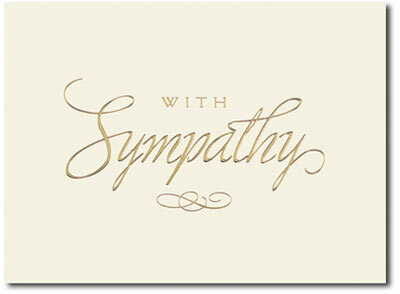 Send your condolences with this striking sympathy card. The gold foil is simply stunning on the ecru paper. These cards can be personalized with your company or family name. This card is made from recycled paper developed from responsibly managed forests (and may contain up to 100% post-consumer fibers). 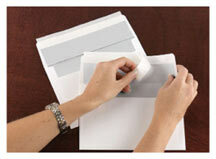 This paper's manufacturer uses renewable energy resources such as wind power, solar power, biomass and others.